When did you decide on making physical therapy your career? mother recalls that I told the physical therapist that treated me that I was going to be a physical therapist. physical therapy, my first brace and wheelchair, those are childhood memories for me. How has the physical therapy profession changed over the years? now surviving, etc. All of those things have impacted our profession as well. Our scope of work has changed. over the years has been exciting. What do you like best about being a professor? on receiving a job is about as rewarding as when a patient achieves his/her goals. What is your Advice for upcoming students? Do You Have A Particular Accomplishment That Stands Out In Your Mind? Receiving the grant from Gulf Coast Advance in the Spring of 2014 is an accomplishment of which I am proud. Dr. Wehner and her students looking at orthoses. 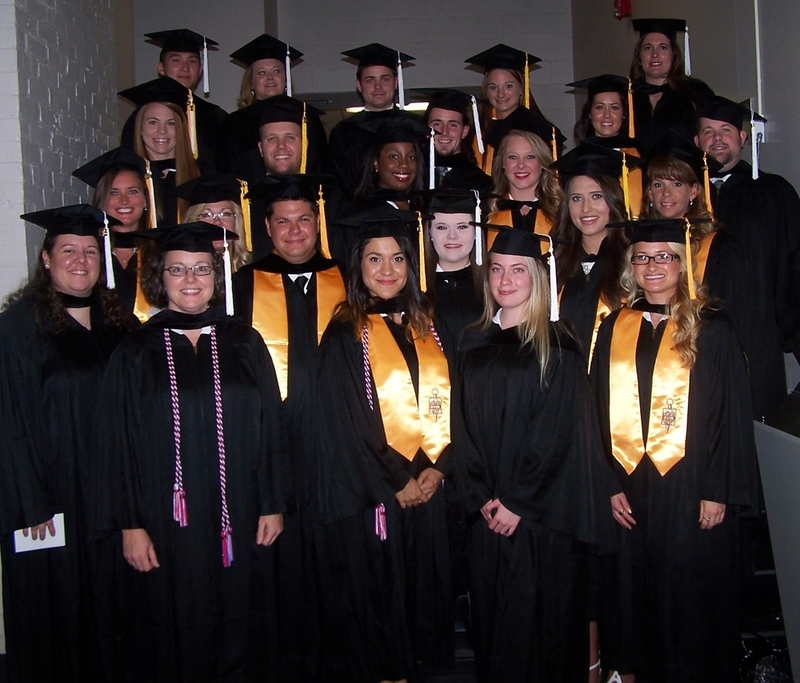 The graduating class of July 2015. "Polio was something that I had no control over and it might have been a deterrent...instead it has really driven my life."